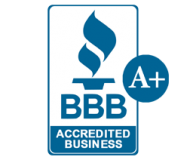 Atlanta Pawn Shop |Jewelry Buyers| Diamond Buyers | Regal Capital Lenders, Inc.
We are A + Rated Better Business Bureau Accredited Business. We pay the most for your jewelry & valuables. There is no limitation on how long or short the loan periods can be. We have professional staff on board that knows the true value of your valubles. We accepet payment over the phone; that way you don't need to waste your time and gas money! We will never charge you 25% interest rate like typical pawn shops. Our rates can start as low as 5%. We will show you the correct market value and explain how we come up with offers. We will let customers seal their items until they come back and pick them up. And finally, we treat you the way we like people to treat us!